As drones become more and more complex, there are many different features that users can pick from. Having a drone camera that follows you has a special appeal for those in the filming and videography realm: the pilot can lock the drones direction on a very specified moving target. Even on a budget, you can still find the best follow me drones under $100. 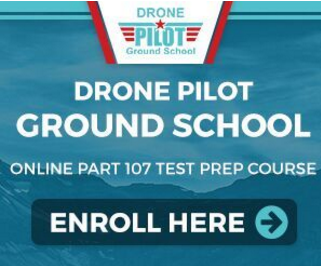 After the pilot selects this function, the drone will then follow the target without needing to use the pilot’s input for control, by use of sensors, and software that allows the device to lock in on certain objects. While this feature is activated, the individual flying can focus on their own choice of creative photo and video elements, not having to worry about the duties of stabilizing flight. If you’re hoping to use your drone inside your home, a follow-me indoor drone with camera will be great for you. Some of the other benefits of a self-following drone are for easier filming of action sports: a subject such as a mountain biker or skateboarder can be followed with this feature, and having the perspective from overhead will really add to the richness of the clip. 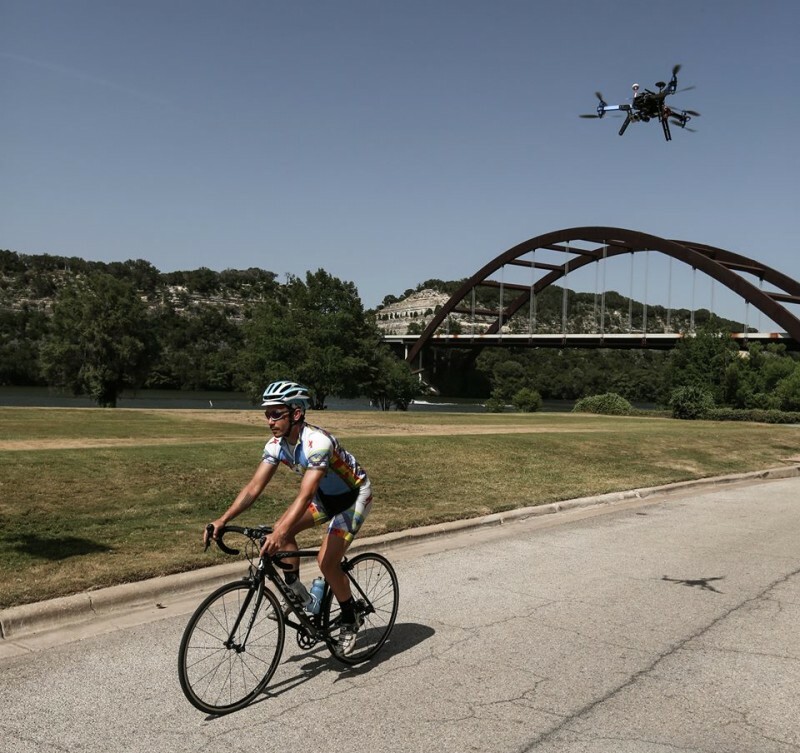 When a drone follows you from overhead, everything from jumps you are taking, marathon steps you are running through, or obstacles you are grinding on or flying over with a skateboard will really come to life. The DJI Mavic Air is, quite simply, the best Follow You drone around. 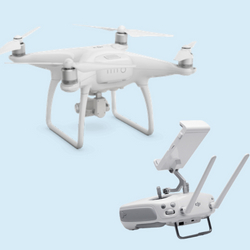 It’s a relatively cheap option at only $798 USD, but it comes with a ton of high-tech features and the DJI promise of quality. On a basic level, you get 21 minutes of flight time and a seriously impressive flight range of over 4,000 meters. 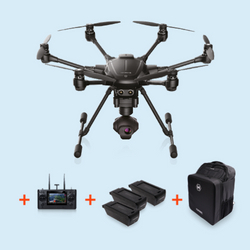 The follow me features are the best on the market (since this drone is only about a year old), which ActiveTrack technology that can sense up to 16 subjects simultaneously even if they’re moving at great speed. Finally, the camera is the best on this list, capturing 32 megapixel HD photographs and 4K resolution video in 30 frames per second. And all this comes in a convenient, portable, foldable package. So if you’re looking for a drone that has everything up to and including the best follow features on the market, look no further. • ActiveTrack “follow me” mode can sense up to 16 selectable subjects simultaneously even when they’re running, jumping, or cycling. The Holy Stone HS100 Navigator is another fairly cheap option at only $230 USD at time of writing. Its video game styled controller is specifically designed to be intuitive even if you’ve never flown a drone before, making this a nice beginner choice for drone pilots who want a “follow me” drone. An optimized 1080p 120° FOV FPV Wi-Fi Camera is built into the drone itself, which will provide you with decent quality photos and videos. 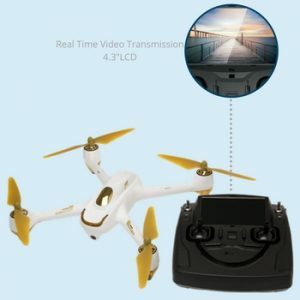 The HS100 is often listed as a popular selfie drone, so if that’s something you’re interested in this following drone might be good for those purposes. Finally, despite the price, the Navigator has some pretty solid flight stats. It’s very light (about 1.5 pounds) flies for 12 to 15 minutes (decent for the price) and has a 500 meter control range. Unlike a lot of drones, it can also stream FPV video to your smartphone for the entire distance of that range instead of having separate flight ranges and streaming ranges. Check out some other great options for the best fpv drone under 200 to match your budget. 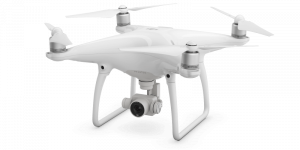 The DJI Phantom 4 is one of our favorite drones for sale and has some high-quality follow me features. Sadly, the ActiveTrack technology used by the Phantom 4 is not as advanced as the similar tech used by the much more recent Mavic Air. But this is still DJI, which means it’s still better than most other quadcopters on the market! The Phantom 4 is a legendary camera drone and the preferred model for most aerial photography companies. 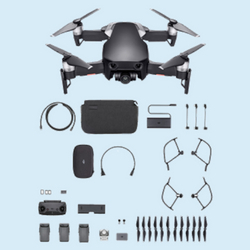 You’re getting a very high quality camera, a durable drone with a lot of features, seamless FPV video, and a 280-minute flight time ideal for longer photo and video shoots. This drone is a lot more expensive than some of the other models here and will cost you well over a thousand dollars. But if you’re ready to take your follow you drone game to the next level and move on to a high-end aircraft, we highly recommend the Phantom 4. The Monoprice Hubsan 501S Brushless Quadcopter Drone is half the price of the Follow Me sports drone, but the main reason is because the video resolution is 1080p instead of 4K. This has a pretty cool gold and white appearance, and a flight time of around 20 minutes. Each motor is constructed with powerful and very durable technology, and the self-tightening propellers ensure a smooth flight. 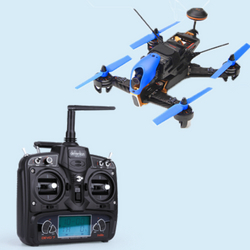 This drone follow me option works on a 5.8Ghz signal, and you can use the very popular shark FPV goggles to view the fun. This drone also does not have obstacle avoidance, but for the price, you get something fun that you can use for sports such as mountain biking and rollerblading, or to capture the thrills of a downhill skier. Here are some stats on the 501S Brushless Quadcopter Drone to keep you fully informed. 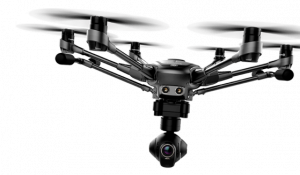 The Yuneec Typhoon H Pro is a Phantom 4 alternative that’s a little more expensive, but which is often preferred by people who don’t want to support DJI’s erstwhile monopoly of the drone market. Like the Phantom it has a 4K video camera, a long (though not as long) flight range, and a flight time of about 25 minutes. It’s also close to $500 more expensive. However, if you’re just looking for follow features, the Typhoon H Pro beats the Phantom 4 every time. It has 8 different smart flight modes, so it won’t just follow you effectively – it will let you pick how you want it to follow you. It can orbit you in circles, fly out to take a selfie and then fly back, and more! 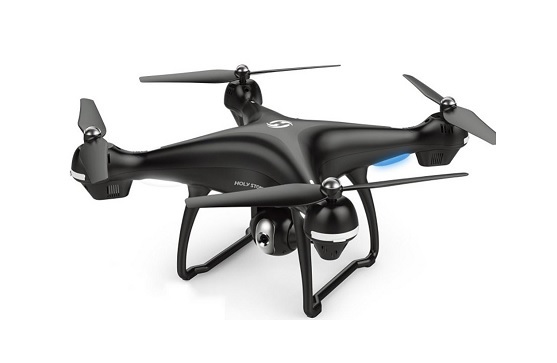 The follow me features on this drone are pretty basic – you certainly get what you pay for. But what’s cool about this quadcopter is that it can actually be used for racing thanks to its light weight and the fact that it can reach speeds greater than 30 miles per hour. 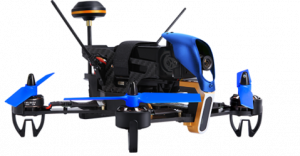 The flight controller is adjustable with the help of a smartphone and it comes with a Devo 7 controller for a better “follow me” racing experience. So if you want a speedy follow you drone and don’t care too much about the bells and whistles, you might like the Walkera F210 3D edition! Parrot is one of the oldest companies in the drone business, and the Bebop 2 is one of their most beloved products. This classic, relatively inexpensive drone comes with a great camera and an impressive range, and was also the first drone in its weight class to have a 25 minute flight time. 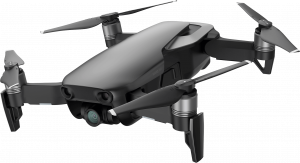 The Bebop 2 has a lot of autonomous flight functionality, including a “follow me” mode, although you should note that in order toe get the latter you do have to pay an additional $19.99 for the FreeFlight Pro app. Considering how cheap the drone is now, we think this additional expense is very reasonable. So if you want an awesome autonomous follow drone that can compete with a mid-range DJI model for half the price, the Parrot Bebop 2 is an excellent choice! What does auto follow drone mean? 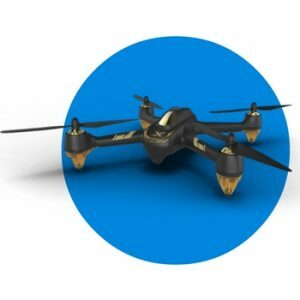 An auto-follow drone is a uav that has the very useful feature which allows for a bit more freedom in the creative realm. It has the ability to use very high technology to fixate on a moving object, so the pilot does not have to spend time and effort worrying about the navigation of the craft. The subject being followed could be a person, plane, biker, hiker, runner, pet having fun, or athlete in training or performance. How Fast can a Follow Me Drone Fly? An average speed of an auto follow drone is around 25 MPH. That is what is clocked for the Ehang Ghostdrone; other units will vary slightly. How does a drone that follows you have the ability to track you? The way this technology works is that the device sends its location to the drone, and as the object begins to move, the drone closely tracks the object’s coordinates. It is not truly seeing an object, it is following according to map coordinates that it is given. Looking for a new drone experience? Take a look at our new Best VR Drones article here. Here are the most important contenders providing drones that follow you "hands free" while you are performing your stunts. Hi. Just seen that Lily.Camera has been halted, and so the idea of finding an alternative is something I, and other Lily followers, would be keen to know about. * Pre-programme modes for flight – e.g. circle, zoom, etc.) e.g. I am sure there are a few other ‘essential features’, and ‘nice to have features’ that people would like to see…. Does anyone know of any companies that have these already? I’ve heard drone footage from cameras with microphones. You hear very little of the action but a lot of propellor noise and motor hum. Unless it’s a very directional microphone which are long and cumbersome and require their own power, are not generally waterproof or impact resistant I think a mic on the drone is pretty much a waste of time. You have to spend a lot of money on a very professional drone with enough lifting power and control to have a decent microphone and then the images to match from a bigger, heavier camera/lens combination. Better to maybe also have a POV camera on the subject recording the sound as well which would give you a more immediate feel and another angle to cut to if the drone missed something, was a bit far away or just for a change of view occasionally. If you reread the comment above about the mic. He doesn’t state putting the mic on the drone he talks about putting the mic on the tracker. For example a tracker you wear on your wrist so that the drone tracks you. Then combining the audio from the TRACKER with the video from the drone later. I could see how crowd noise, or ocean waves crashing during surfing could be a cool thing. I would consider attaching a lapel mic to the GoPro and let the cord hang 2 to 4 feet from the drone. Not sure what it would capture, but with a wind sock on the mic I am sure it would capture some sound from the event. Would be cool to try it out and see what comes of it. What about the follow drone “Staaker”? Met them in Hawaii, and the prototype back then worked good….